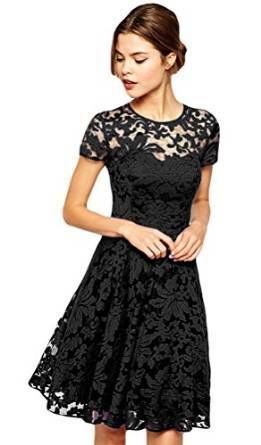 If you want to be elegant and admired by everyone around you, you can choose a black lace dress. It will look absolutely great and it is also versatile therefore you can wear it both during the day and night. There are people who say that you can wear a lace dress only in the evening. Well, I don’t agree with that. You can wear it also during the day depending a lot on the model and your creativity, of course. There are models suited for the evening and some that can be worn during the day. And since we are talking about black lace dresses, I have to mention that there are several models: floral, boho, paisley, very elegant, sleeveless or not and so on. No matter the model you might choose, black lace dresses are always elegant and handy.